Growing up, I wasn't a wrestling “fan”. I didn't know enough to be a fan. With no access to this new-fangled thingie called the internet, all I knew about wrestling is that the WWF (now WWE) served up. And then, one day, while channel surfing, I came across another sort of wrestling. This looked nothing like the WWF. It looked grimy. The characters weren't as outrageous and flamboyant. To my still developing mind, it wasn't better or worse, just different. Except for one man with shocking blonde hair who was screaming about his expensive suits, Rolex watches, and sleeping with beautiful women. He looked like he could have been straight out of the WWF. The man looked familiar, but I couldn't place him. Little did I know is that I had seen that man in the WWF, only a few years ago. Later, as I grew more familiar with the wrestling business, I would learn who that man was: The Nature Boy Ric Flair. 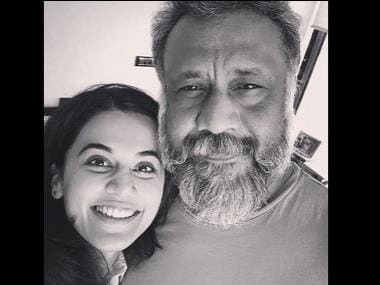 The legend among legends. The icon among icons. He is, to use his own words, the man. Wrestlers such as Stone Cold Steve Austin (who was once hailed as the next Ric Flair), HHH, and Shawn Michaels consider him the greatest performer in the history of the business. This ESPN documentary, chronicling the career of Flair, comprises two long interviews with the subject Richard Morgan Fliehr (one after a recent health scare), animated shorts and archival footage. Flair was adopted. His father and mother decided to adopt him after losing their own child. Growing up, Flair was a bit of a jock and a troublemaker and was somewhat disconnected from his parents. They didn't get him and his fascination for wrestling. He didn't get them and their fascination with “culture”. 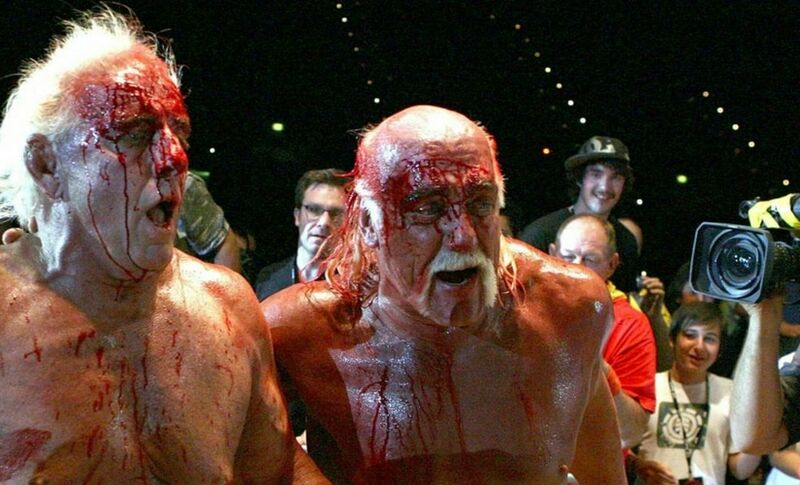 Ric Flair and Hulk Hogan after a bloody match/Image from YouTube. While he claims he was told about his adoption at the age of ten and that he never gave it a second thought, one can't but help wonder what impact it had on his psyche, or the results it might have played in Flair himself being an absentee father. Sadly, that subject is never broached by the filmmakers, who chose to eschew any focus on Fleihr the man and keep the focus on Flair the icon. It is Flair's brush with death and his greatest rivalries that get the most screen time. Flair was involved in a plane crash that should have ended his career. Doctors feared he'd never walk again. And yet he somehow defied all odds and was wrestling just a few months later. Even as Hulk Hogan is on top of the world selling WWF's “cartoon wrestling”, Flair is producing high-quality matches with his peers and making the case for himself as the greatext wrestler that ever lived. Even more impressive, Flair and his buddies, who've dubbed themselves “the 4 Horsemen” (named for the four horsemen of the apocalypse) are blazing a different sort of trail: Becoming the first wrestling heels (villains) who are so good at being bad that the people can't help but cheer them. It's also incredible to see all the people who have been influenced by Flair: Rappers, athletes, musicians, TV show hosts and presenters who can recite his monologues (known in the biz as promos) word for word. His impact on American life is far greater than most people, including myself, had ever imagined. It is Flair who, early on, sums it up best: Nature Boy wasn't a wrestling character... Nature Boy wasn't fake. Nature Boy was me. 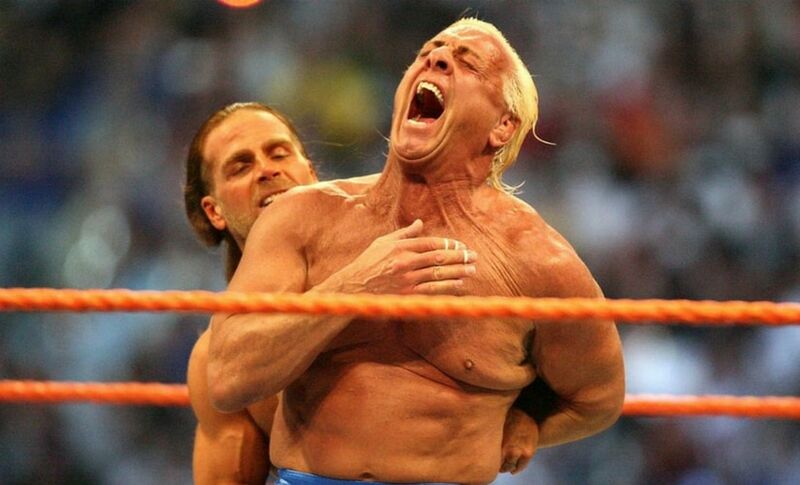 Ric Flair during his last WWE match against Shawn Michaels at WrestleMania XXIV/Image from Twitter. But all his greatness within the ropes and under the bright lights can't hide the fact that Flair comes across as a deeply flawed individual and damaged soul. Which is understandable. The wrestling business, for all its glitz and glamour, remains as seedy as ever. Wrestlers sacrifice themselves, their families, their bodies and minds for the betterment of the business. They're expected to. Flair is no different. He sees his kids a handful of times throughout the year. Goes through a string of wives, financial difficulties and health troubles. Most tragically, the wrestling business takes what he loves most in life: His son Reid, who takes after his old man and enters the business, only to fall prety to drugs and die of an accidental overdose (like far too many wrestlers before him and since). And that is Flair's story. Of tragedy and triumph in equal parts. Of pain and sacrifice. Of a family torn asunder and then put back again. To be honest, less than 90 minutes simply isn't enough to produce the definitive account of Flair's life and times. Heck, a 900 minute, 15-part special might not be enough. Large swathes of his career go untouched. After WCW folds, his long stint in WWE is reduced to a mere afterthought. But ESPN more than captures the spirit of the Nature Boy. Which for wrestling fans, is unmissable fare.